There's something about the holidays that make rich, buttery pralines extra special so here's an extra special recipe made with sous vide cannabis-infused butter*. 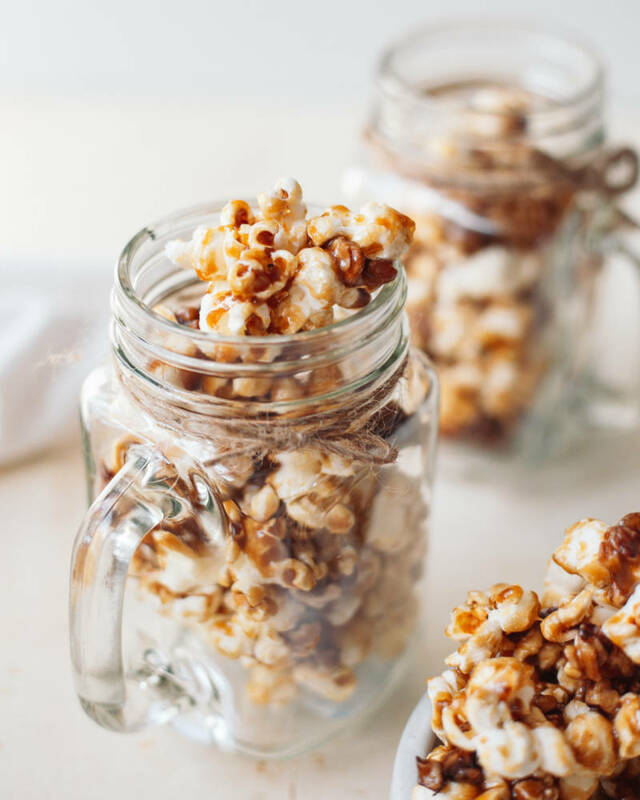 The medicated praline is then drizzled over popcorn to make a fun giftable snack for your loved ones — perfect for the holidays, birthdays, or special occasions. You can also use regular butter if you'd like to keep it friendly for everyone! 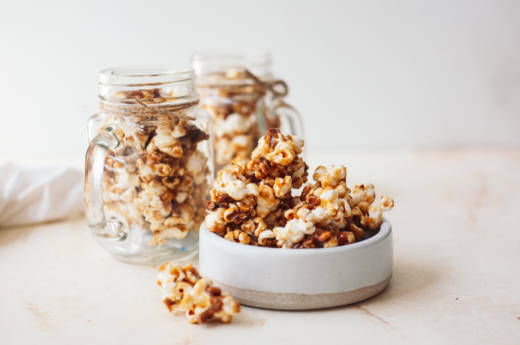 This praline popcorn is easy-to-make and to package up for holiday gifting. Pro tip: Add a desiccant pack to prevent the praline popcorn from getting stale. You can purchase affordable ones on Amazon. Cannabis-infused praline popcorn all ready to gift. Set popped popcorn aside in a large bowl. Line a baking sheet with parchment paper or a silicone baking mat and preheat the oven to 300°F. In a medium saucepan over medium heat, add light brown sugar, salted butter, cannabis-infused butter, and light corn syrup. Gently stir until both butters have melted and the mixture reaches a slow bubble. Stop stirring and allow the mixture to boil untouched for 3-4 minutes, the color will turn a golden brown and the texture will be fluffy. Remove from the heat immediately and stir in vanilla extract and baking soda. The mixture will bubble and rise. Quickly fold in the pecan halves with a rubber spatula. Pour the praline mixture over the bowl of popcorn. Use a rubber spatula to gently coat the popcorn. Spread the popcorn mixture evenly on the baking sheet. Bake for 12-15 minutes. Remove from oven and let the popcorn cool completely before packaging into giftable containers. Add a desiccant pack to prevent the praline popcorn from getting stale. Consume within a week.